It was when I was walking–just me and my camera–that I started looking for the green after the long gray and muddy brown of winter. Life is everywhere! At home, my dear ones were sick and hurting, and I had done so much laundry and cleaning, hoping to somehow disinfect everything. I so needed the fresh air. I walked and listened. There were singing birds and trilling peepers–all this chorus of praise. 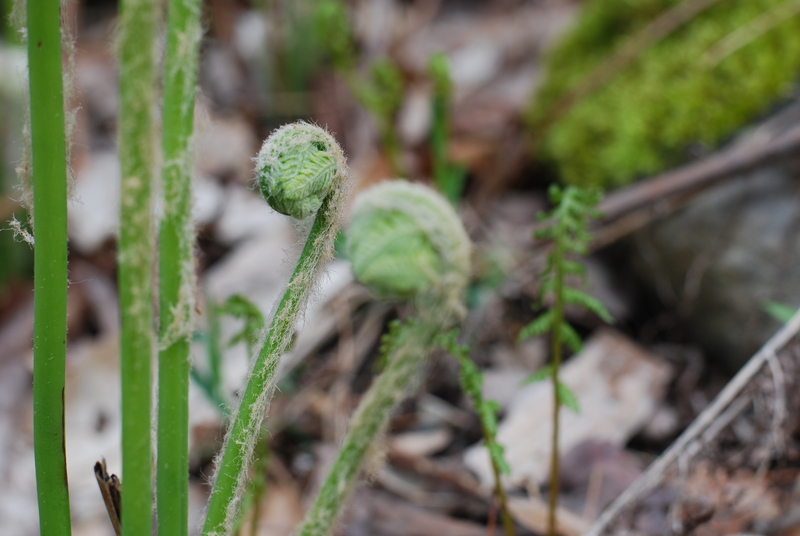 The fiddleheads were still closed tight, tendrils fuzzy and furled. Waiting. 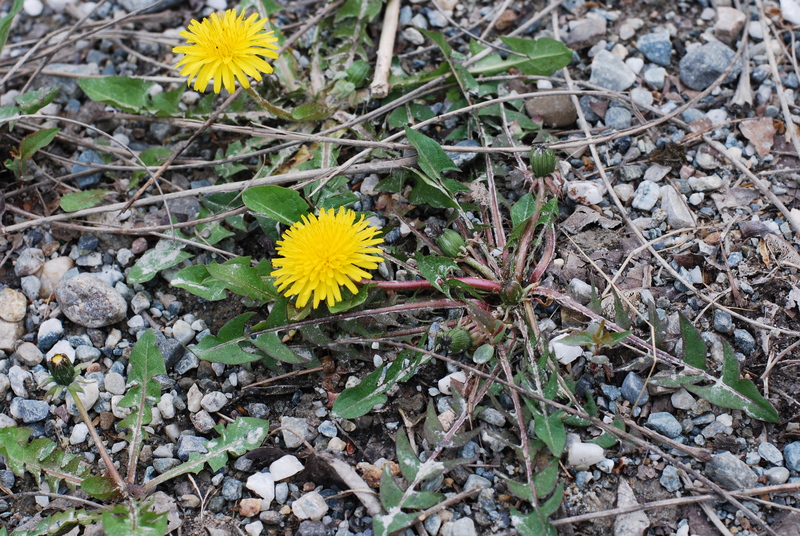 The dandelions bloomed in unforgiving gravel. Dauntless! 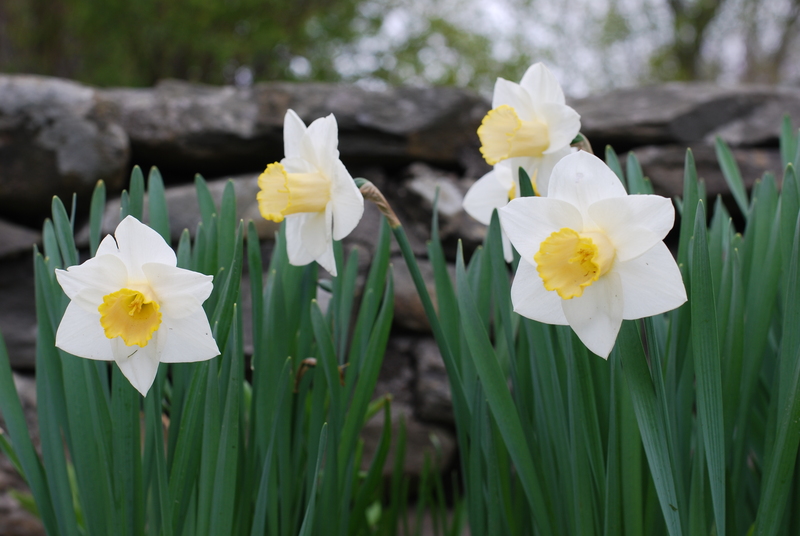 The daffodils stood against the rock wall, this juxtaposition of fragile and firm, ephemeral and enduring. 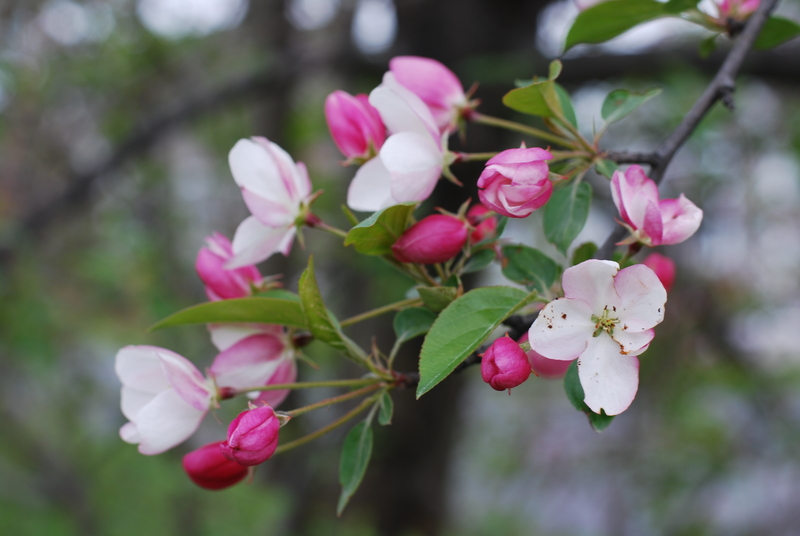 And the trees–they are wild ones that are never pruned– yet there was brilliant array in the roadside ditches. “We were buried therefore with him by baptism into death, in order that, just as Christ was raised from the dead by the glory of the Father, we too might walk in newness of life.” Yes, it is May in my heart! I’ll keep praying for all the sick! Nice post, I loved the pretty pictures. Thanks for dropping by! Love your little corner of blogdom and your commitment to purity. I am praying that my own daughters will have similar conviction. Thanks for replying so fast, it usually doesn’t happen like that..lol. Thanks for looking at my blog also. I hope that your daughters have that conviction also. Sometimes it isn’t easy, but one day I’ll see how much it was worth. 🙂 I’m looking forward to that day. God Bless You!